**WARNING: If you have not watched, there will be minor spoilers!! Stop me if you heard this before: a casual comic book friend comes to you to ask why the Flash in the movies is different from the one on TV; or they ask how is it that John Constantine is part of the Arrowverse when the show was on NBC and cancelled; or how are certain characters popping up on Gotham well ahead of Bruce Wayne ever taking the cowl. This is just another part of the confusion that is a part of DC’s Expanded Universe and while I know many of us have talked about it to death, this week’s start of Gotham just keeps digging that hole further and further. In full disclosure, I skipped the first 2 seasons of Gotham because I didn’t want to be Smallvilled by this show. Also a larger part for me was I was not crazy about the set design, some of the writing and most of the acting. In the first season, I may have made it through 6 episodes before I finally gave up. My wife, however has watched the show since its start and the bits and pieces that I did manage to see, I found myself liking Robin Lord Taylor’s take on the Penguin and even had a chance to talk to him about it at Awesome Con back in June. I figured that I would try to give it a chance again and maybe I would grow to like it. I watched the season premiere and so many of the issues I had from the start popped up again. Most of these issues show why the DCEU is so disjointed. 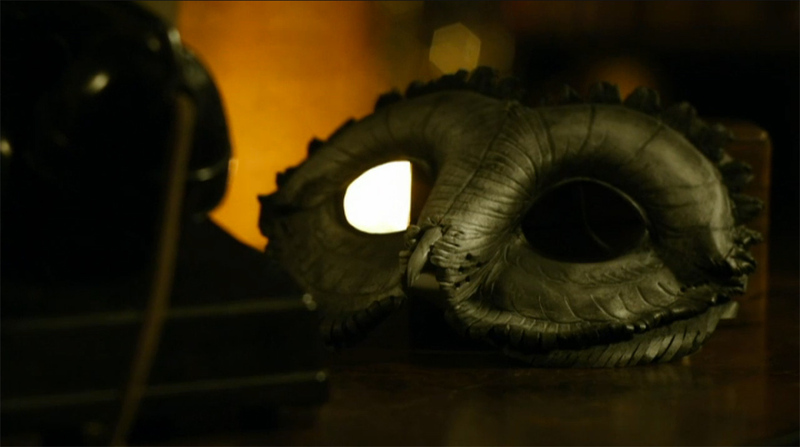 For instance, even though the Court of Owls just recently appeared in the comics, outside of fan service, why are they appearing in Gotham already? The comic fan part of me would think that Batman’s whole mission would have changed if he had known about existence of the Owls at this early stage. I mean, don’t you think he would have spent more time trying to defeat them as opposed to chasing after common riff raff on the streets? In the comics, he and the Bat family just barely survived them but introducing them now while Bruce is still a boy, makes zero sense to the overall narrative looking down the road. Also the campiness of the acting. Jada Pinkett-Smith’s take on Fish Mooney which sounds like a dime store Eartha Kitt Catwoman, makes my skin crawl. One other issue is we get an early look at Killer Croc and a whole bunch of meta-humans (which has been done this whole series) and if you have been keeping track, the TV shows and the movies have pinpoint times that are different as to when meta-humans appear. This is also in part due to the fact that Gotham takes place many years before the shows on CW. For some of us, it’s easy to figure out that some of the shows are different from the movies but for casual fans, look at all of the confusion this creates. In the Arrow and Flash universe, meta-humans progressively pop up and really, you can’t have The Flash if producers of the show did not give him worthy adversaries to battle against. Same for Arrow but of course most will say that Arrow is entirely too much like Batman without…Batman. Let’s remember also that Supergirl at its inception was never supposed to cross over into the Flash and Arrow, despite all of the television IPs being owned by the same company. Yet, not only did that get walked back in less than six months, Supergirl got moved to the same channel where it will also get to play along the surprising success that is Legends of Tomorrow. Now that they are all on the same channel, the crossover is now inevitable. But, in the movies, meta-humans didn’t start springing up until Superman appeared…or did they? Also, because DC did not want to further ‘confuse’ audiences, they killed the Arrowverse’s Amanda Waller for no reason at all. Their claim was that they needed her character for the Suicide Squad movie. Wait, what? One character, played by two totally different actresses in supposedly 2 separate universes and you kill one to keep from confusing audiences, yet for the BvS movies, you hire a different actor for the Flash? How exactly is this not confusing for both casual actors and comic fans? Let’s not even bring Constantine into this mess; although with what John Constantine does with his abilities, which may include inter-dimensional travel, may be the easiest to explain. It’s the questionable handling of DC’s property in visual media which makes Agents of SHIELD and most of Marvel’s properties easier to follow. It’s not so much that AoS is a great show, as a matter of fact, within the last 2 years it’s finally grown into its own but it’s easier to follow if you are also watching the Marvel movies. Last night’s premiered tied into Captain America: Civil War in regards to the signing of the Sokovia Accords. If you missed the movie in theaters, it’s now out on home media for you to catch up. The show may also have some ties to the upcoming Dr. Strange movie coming in November. When it comes to visual media, Marvel Entertainment has always made it simple enough to follow along the movies to TV and back, regardless if the movies are good. It would be nice however, if DC and Warner Brothers would follow suit. Bottom line is this, Gotham will be a no go for me. It’s even hard to look at this show knowing that it won’t end at the Nolanverse or Snyderverse as it seems like it’s making its own universe. Also, Arrow has gotten to a point of being unwatchable as well. Sadly, Legends of Tomorrow is on my not watch list as well which only leaves The Flash and Supergirl. I am just hoping that DC and Warner Brothers really get their TV properties together but, I am not going to hold my breath.